Woman prosecuted for driving whilst eating from a bowl of cereal in her lap. A pioneering initiative to clamp down on reckless drivers who use mobile phones at the wheel has been launched (Monday 17 Sept) by West Midlands Police. 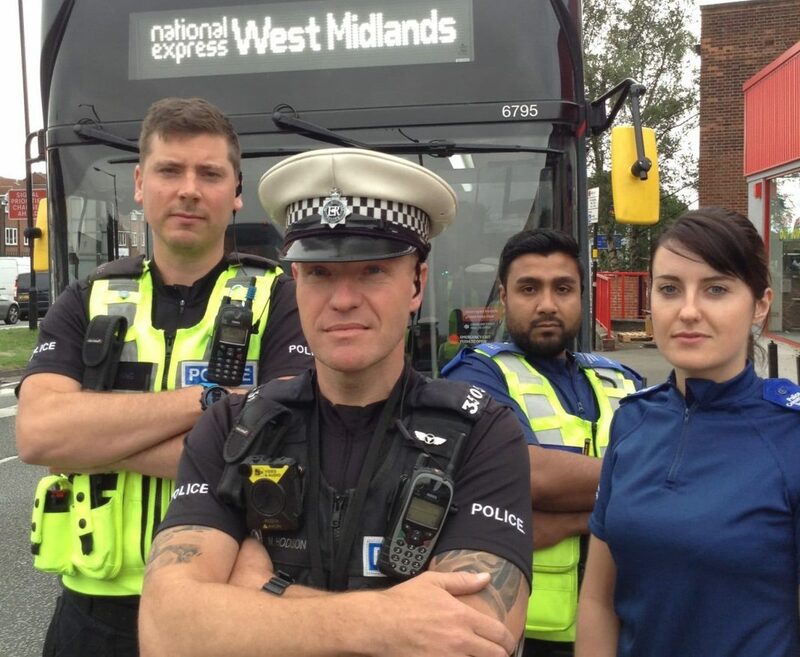 The aptly named ‘Operation Top Deck’, which is a joint project with National Express and Transport for West Midlands and the force’s Road Harm Reduction Team — sees plain clothes officers equipped with video cameras peering down at passing motorists on the lookout for distracted drivers. Information is radioed to police bikers who divert offenders to a designated site where they are given an educational input, including a hard-hitting, virtual reality video highlighting the potentially devastating consequences of using a phone while driving and also face the prospect of a hefty fine plus six points on their licence. The buses used, which provide a perfect vantage point into cars and other vehicles, are ‘borrowed’ from National Express and look like any other regular bus in service — however, they are driven by Safer Travel officers who are qualified bus drivers and the passengers will be police officers or PSCO’s equipped with video cameras. 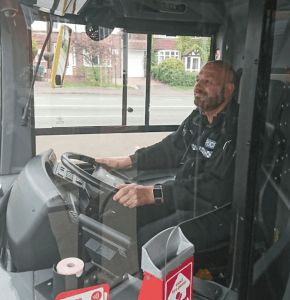 Bus passengers can also support Op Top Deck – by supplying their own video evidence of offending drivers via a dedicated self-reporting site on the West Midlands Police website. Op Top Deck was launched to coincide with National Mobile Phone Week (17-21 Sept) which sees traffic officers in police forces across the country targeting dodgy drivers — and in just a few hours on the A34 Birmingham Road near the Scott Arms pub, 45 motorists using phones behind the wheel were caught. One man was caught using his phone while on route to a speed awareness course. A woman was prosecuted for driving without due care and attention after officers found her eating from a bowl of cereal in her lap. A disqualified driver was also pulled over and arrested. Sky’s @joetidy joins West Midlands Police as they launch Operation Top Deck – an initiative that aims to tackle people who use their phones at the wheel, by filming them from the upper deck of buses.